A descendent of one of Asia’s most influential, rich and powerful Dhanin family, Tse Ping is currently the chairman of CP Pharmaceutical Group. Sino Biopharmaceutical, one of the highly successful ventures of the CP Pharmaceutical is one of China’s most successful drugmaker. 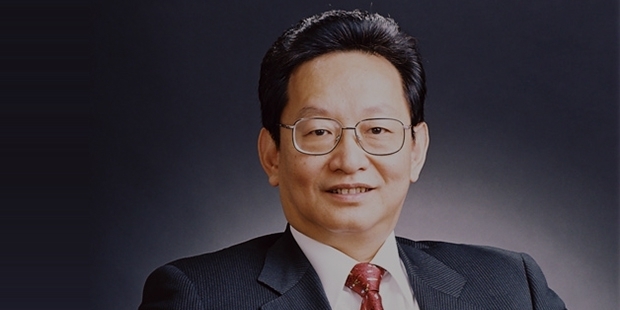 As on May 2015, Tse Ping ranked 949th in the World Billionaire List with an asset of $2.3 billion according to Forbes. Tse Ping was born in Dhanin Family which was recognized as one of Asia’s most influential family. In the 1950s most of the members immigrated to Thailand. However, Tse stayed in China with one of the elder family members who did not want to leave his motherland. Tse was sent to the countryside from Shantou during the disturbed Mao Cultural Revolution. As a result, Tse lost the opportunity and age to have a proper college education. In the 1970s when the Chinese Economic Reforms were introduced, Tse was helped by his family’s headquarter in Hong Kong to apply for his immigration paper. As his fate would have it, on his arrival, Chroen Pokphand Group chairman told him the unfortunate thing that he is “too old” to continue his education. Sab but undaunted, Tse found Sino Biopharmaceuticals under the CP Pharmaceutical Group. Tse didn’t want to get into the traditional Chinese Agriculture Business that his family had pioneered. He felt the pharmaceutical industry appealing as in the era of slower growth rate, this industry proved to be countercyclical. In his brilliant career, Tse has over 21 years of pharmaceutical related investment and management experience. Under his able leadership, Sino Biopharmaceuticals emerged as one of the toughest competitors in hepatitis drugs and therapeutic micro sphere targeted medicine in market. Tse’s progress has attracted foreign companies like Goldman Sachs who had purchased a stake of 7.2% in Sino Biopharmaceuticals. The New York based company Bausch and Lomb finalized a purchase of a Sino subsidy for $200 million. Tse now has dreams to compete in the international market. With the current success rate, McKinsey and Company had predicted that Sino’s sales will increase by about 15% in the next five years. In 2005, Sino Pharmaceuticals won the Forbes Asia “Best Under $1 billion enterprise within the Asia Pacific Region”. In January 2008, Tse Ping was awarded the “World Outstanding Chinese” in Hong Kong and an honorable Doctorate degree by the University of West Alabama, USA. In December 2008, he was awarded the “2007 – 2008 Asian Knowledge Management Academician” by the Asian Knowledge Management Association. In June 2010, Tse was awarded the “Top Ten Most Leading Innovative Persons of PRC” by the PRC productivity Society and the PRC Corporation Press. Currently, Tse also serves as the vice chairman of Association of Chinese Multinational Corporation. He is also the vice chairman of Association of Chinese Natives Chamber of Commerce. From pouring tea in his family business headquarter in Hong Kong to becoming the chairman of his own established firm, Tse Ping has shown that undaunted spirit, strong determination and the readiness to face challenge can actually do wonders. His name is an epitome of success in itself, an inspiration for anyone looking to find motivation. A man who loves to lead a personal life, Tse resides with his wife in the Hong Kong city.